Wembley Atiram Premier Hotel in Juffair Bahrain, offers the most elaborate economical Friday Brunch. 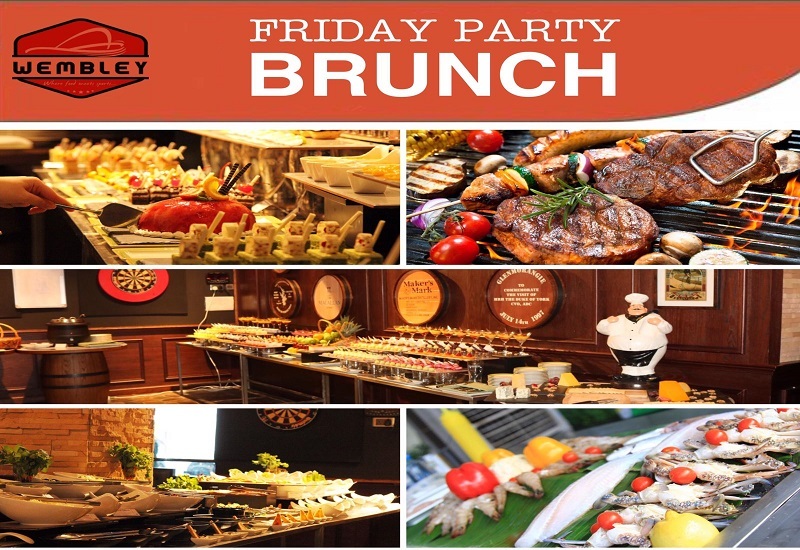 It's offering a wide range of international food buffet plus a live band, DJ and live cooking stations - Grill, Pasta, Carving etc.... Wembley Friday Brunch gives special dining experience for you. Now, it is your turn to kick off your weekend with WEMBLEY and our live band . Kids above 7yrs are BD10. Kids under 7yrs are free. Exclusive offer valid through www.togetherinbahrain.com, not valid at the Hotel directly. 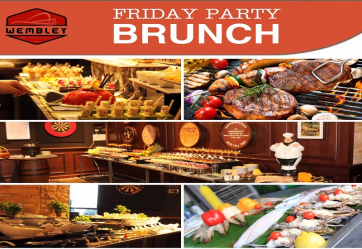 Just show your coupon at wembley Atiram Premier Hotel & enjoy the Brunch !!! Premier Hotel, a 4 star hotel, was inaugurated in 2015, being the first hotel in the Middle East belonging to the well- known Spanish Atiram series all over the world. The Hotel is located in Manama (capital of Bahrain), specifically in Juffair, the touristic vital region which is full of restaurants and cafes, facilities and touristic services. Gym equipped with the most modern sport machines. A relaxing Spa which offers luxurious massaging services for ladies and gentlemen. Travelling desk which also offers services of recreational tours in the city. To ensure the comfort of our honorable clients, Premier Hotel offers free Wifi service all throughout the hotel, and provides private parking lots and valet parking service for free. Premier Hotel also provides laundry and ironing services 24/7, in addition to the transportation services from and to the airport. Whether you aim to rest and enjoy your time or carry on business transactions, business meetings or conferences, or celebrate joyful occasions such as weddings or birthday parties, or even enjoy the mouthwatering food and drinks in a luxurious, pleasant atmosphere, or relax and enjoy massaging services, or exercise in the gym which is equipped with the most modern machines, Premier Hotel is the perfect place which satisfies all your needs and expectations with the best prices and highest quality.